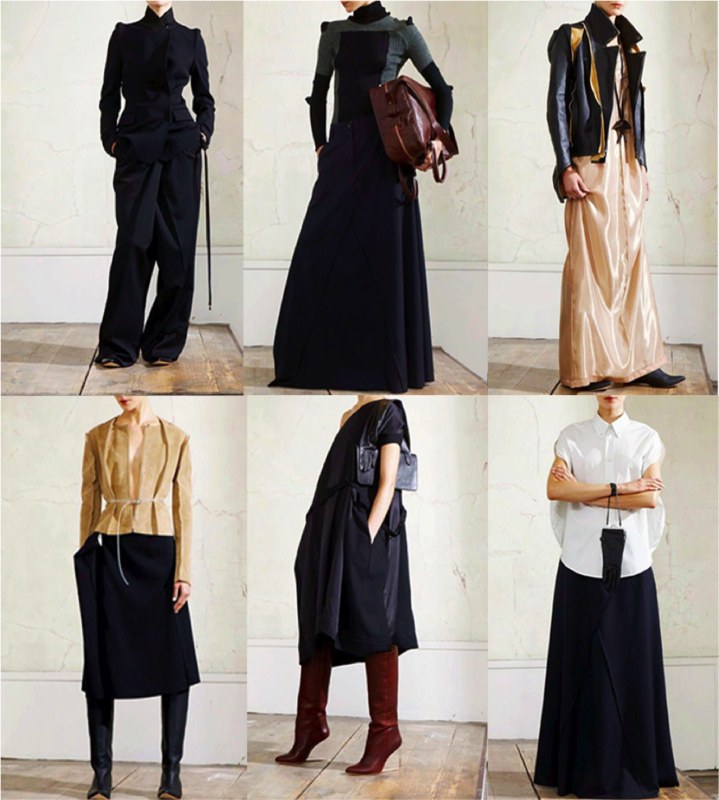 More and more pictures of the Maison Martin Margiela collection for H&M are being published. 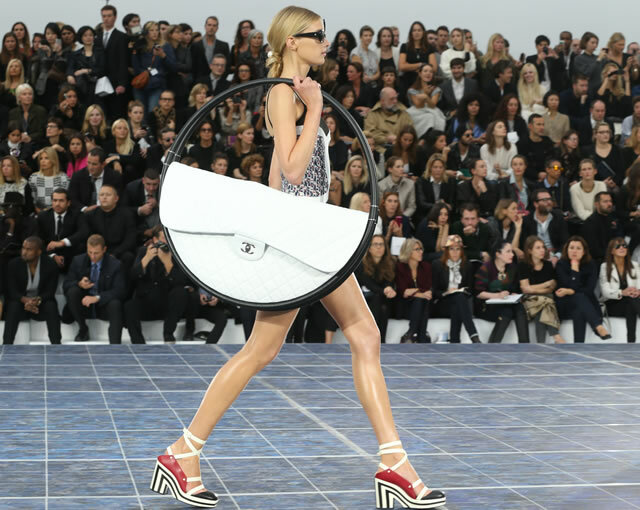 The good thing is…that it is very Martin Margiela. The bad thing is…that it is very Martin Margiela. I am not really sure if this collection will be very successful for H&M. I guess lots of people who will buy the collection will be outside of the normal H&M customer base. Overall, I think there are some very beautiful pieces in there. Martin Margiela is a Belgian fashion designer, who graduated in 1980 from Antwerp’s Royal Academy of Fine Arts along with Dries van Noten and Ann Demeulemeester. After working as freelance designer and as assistant of Jean Paul Gaultier, he launched his own label in 1989. He became know for his eccentric fashion statements and the art of deconstruction, a movement started by Rei Kawakubo from Comme des Garcons against the luxurious fashion world. It came as a surprise to many in the fashion industry, when he was appointed creative director at Hermes in 1997, staying in that role for 6 years. Martin Margiela himself has always maintained an extremely low profile. He didn’t make designer profile pictures and remained backstage after all his shows. This level of mystery is what made the label distinctive from the many press & celebrity loving brands out there. The trademark consists of a piece of cloth with the numbers 0-23. The badge is attached to the inside with just four little white pick stitches. The label was bought by Diesel in 2002 and in 2009 Margiela officially left Maison Martin Margiela. The design team has continued designing true to the label’s father and they have kept the mystery around it alive, but at the same time managed to make it more acceptable to a broader audience like the house’s first perfume UNTITLED launched in 2010. More fashion insights on Martin Margiela can be read in this article from The New York Times. Visit Maison Martin Margiela. The mood of the video is really beautiful, simple and graceful. The words are very inspiring. But somehow, I can’t put it all together. Who is this companion always with Brad Pitt wearing Chanel No5? I didn’t think Chanel No5 was the favourite perfume of Angelina Jolie. The mystery is not fully resolved if you ask me, or maybe I am analysing it too much. 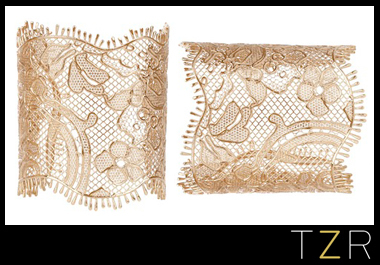 I just have to share this piece of jewellery Rachel Zoe just showed in her TZR today: Gold lace cuffs by Givenchy. This is by far one of the most beautiful pieces of jewellery I have ever seen! Unfortunately the price tag is also pretty amazing: 1000 USD per piece. Are you ready for Anna? Tomorrow is going to be a shiny day…not according to the weather forecast, but because Anna Dello Russo’s collection for H&M will be in stores! Lots of gold and bling-bling! Did you already make your wishlist? Check out this cool video she made to promote her collection… or was it to promote her amazing body at the age of 50?! 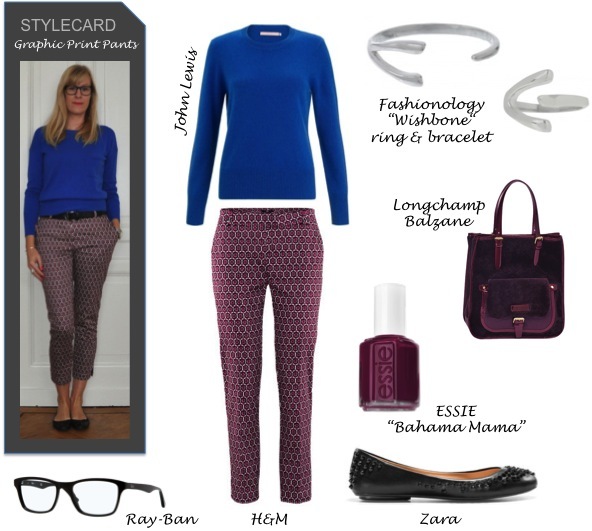 Animal print has become a classic by now. 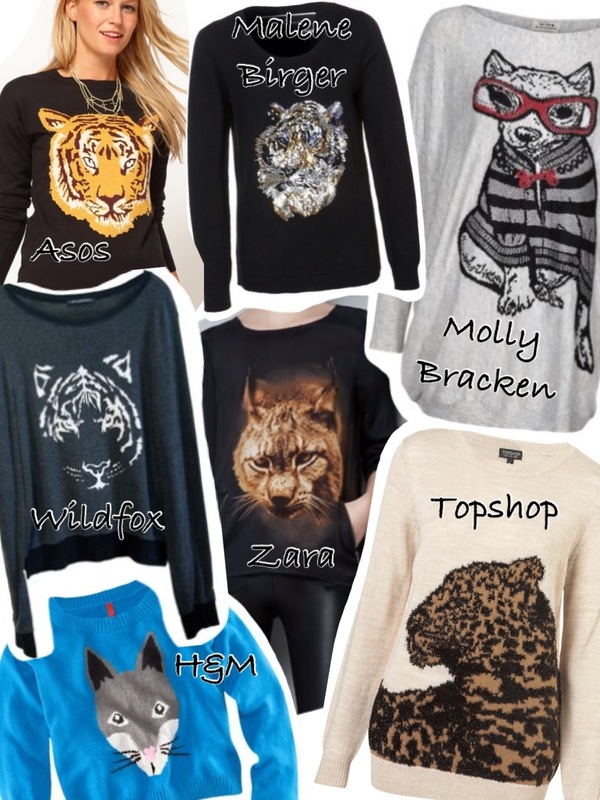 If you really want to be in trend this season, go for jumpers and sweaters with animals on them. As a cat person, I clearly have my preferences!